Polar bears following the sea-ice in hunt for seals have 30-35% higher concentration of perfluoroalkyl substances compared to coastal bears and levels are higher further east than the Svalbard area. 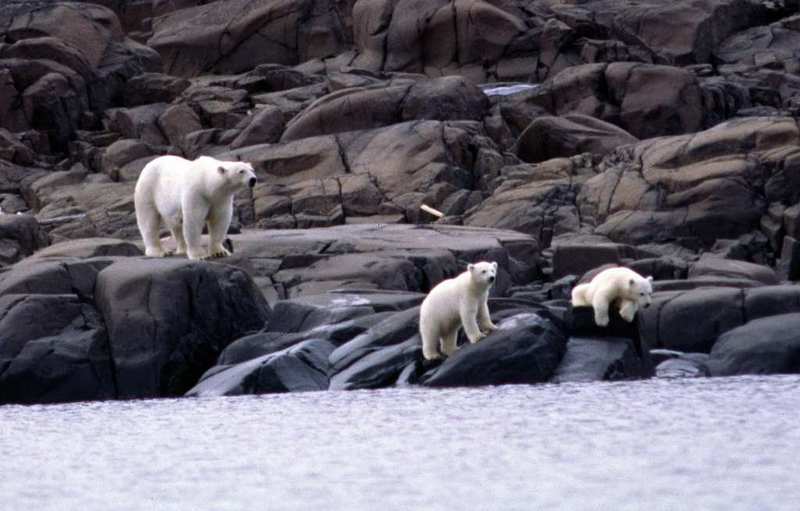 Exposure for certain chemical pollutants are higher the further northeast in the Barents Sea polar bears go, a new international study concludes. The study is published in Environmental Science & Technology. Some polar bears walk longer distances in the Arctic, following the sea-ice, while others remain in the near coast areas of the Svalbard archipelago. Levels of polychlorinated biphenyls (PCB) are higher the further northeast the polar bears walk in hunt for seals on the ice. Highest are the levels east of Russia’s Franz Josef Land. One reason for higher levels of PFAS among the eastwards long-walking polar bears, the researchers argue, could be that the longer they walk the more energy they need and therefore they eat more seals and by that get more toxins. Map from the study shows how levels of certain toxics increase the further northeast polar bears go. Donate to the Barents Observer and help us cover more environmental news from the Barents Region and the Arctic.